I always love returning from trips to see what surprises have arrived while I’m away, and the Vegan Cuts snack box is usually one of the first things I open whenever I return home! The September 2014 Vegan Cuts Snack Box was loaded full of all sorts of comfort foods, curated by a celebrity vegan and raw food chef Jason Wrobel. This marks Vegan Cuts 2nd anniversary! This month was a nice balance of healthy and indulgent snacks, a pretty even mix of food and drinks and mostly gluten-free items. While this box was a bit more sweet than savory, the center piece was the Earth Balance White Cheddar Macaroni & Cheese. This snack box included a total of 10 products and below are a few of the highlights. Some of our recent Snack Boxes from Vegan Cuts have had more quick and convenient meals or meal components in them, but the September box was packed full of snacks – with the exception being the Earth Balance White Cheddar Macaroni & Cheese. Details: A subscription costs $19.95 per month. Shipping is free within the USA. International shipping is available for an additional $8 to Canada and $15 to the rest of the world. Next Snack Box ships on October 20th! View more details here. These little banana and coconut bites are reminiscent of the solar dried bananas we often enjoyed during our time in Phuket, dried to the point that they are still moist but just a little tough and chewy with residual sugars providing ample sweetness. The flecks of coconut shreds inside these dark brown banana cubes give the appearance of a raw bar but it’s the simple, clean flavors of just banana and coconut that I love about these bites. 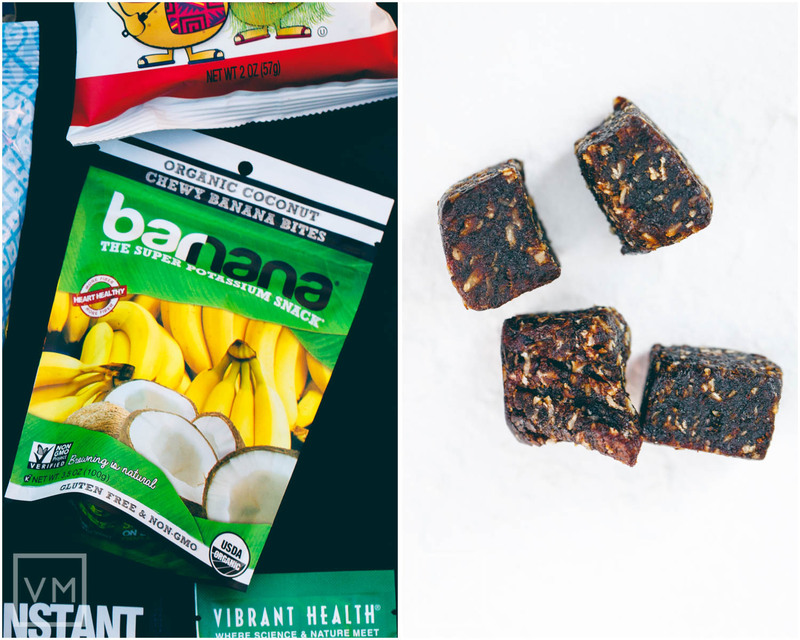 Barnana Organic Coconut Chewy Banana Bites are Non-GMO (Non-GMO Project Verified) and gluten-free. They also have no added sugar, no preservatives and no cholesterol. The packaging even provides an easy summary of what’s in these tasty bites – 4 bananas minus 80% of their water plus ¼ of a coconut. These have a shelf-life of over 18 months and are made using South American bananas sources from small scale farms. Available on Amazon.com and barnana.com. This strawberry, banana & apple blended fruit pack is essentially a convenient and flavorful apple sauce. Only 80 calories per pack and gluten-free, Buddy Fruits FruitBreak are 100% fruit, BPA Free, Non-GMO and contain no preservatives, colorings, artificial flavors or absolutely anything artificial. Each 4.2-oz pack contains 1 full serving of fruit. We loved the natural flavors, with clear notes of strawberry and banana and found the serving size to be very filling. I appreciate how easy it is to open and eat, and also love that it’s resealable! Buddy Fruits FruitBreak are a healthy, handy snack on the go! I could easily see this becoming one of my guilty pleasures! Not only is this decadent snack sweet and a little smoky from the caramel but it’s also a bit spicy from the chai. I love the distinct chai flavors on the palate from this popcorn, and that spice slows you down a bit so you don’t finish the bag all at once. This popcorn was firm, slightly sticky and very full flavored. 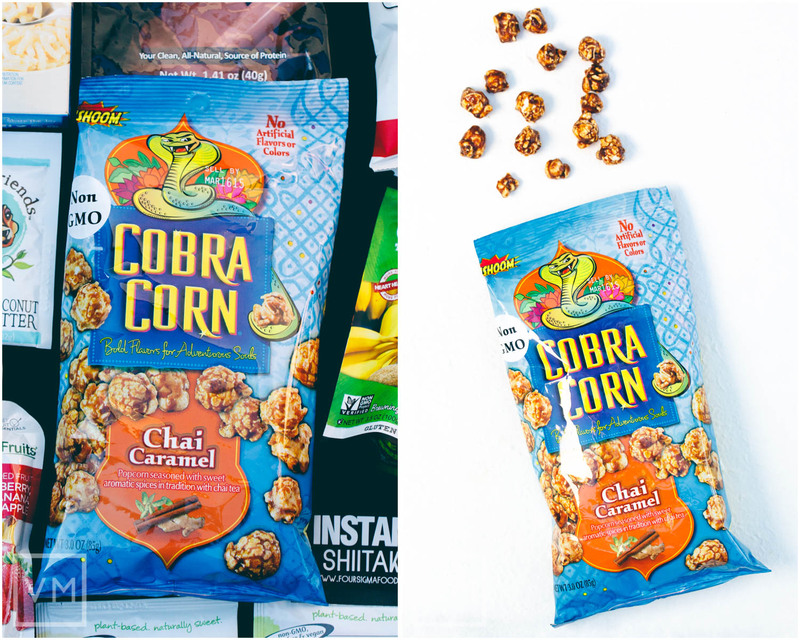 Cobra Corn is Non-GMO, gluten-free and contains no preservatives or cholesterol, no artificial flavors or colors and a product of the USA. Easy 3-step preparation requires just water, earth balance (or other) buttery spread and non-dairy milk. 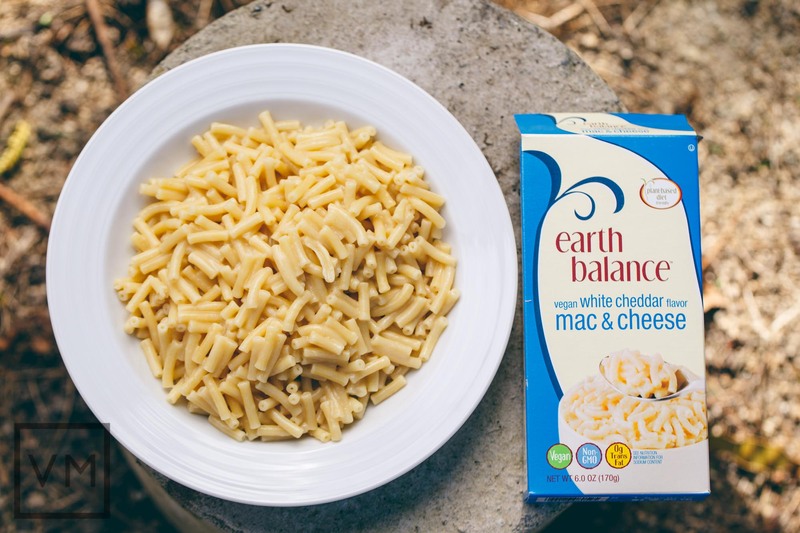 Earth Balance Macaroni & Cheese is Non-GMO. I like the packaging, this box looks like it would blend right in with other Macaroni & Cheeses on supermarket shelves while also maintaining the consistent and recognizable Earth Balance branding. The first thing you’re bound to notice about this product is the strong pungent cheesy aroma, it’s striking. The flavor isn’t as powerful though. The aroma sets expectations high, so the more mild taste was surprising and slightly disappointing. We followed the directions and found the cheese sauce to be a bit thin. Next time we will reduce the amount of non-dairy milk or add more butter to try and get a thicker, creamier mixture. Consistency of the cheese sauce was edging towards gluey instead of creamy though, so i’m not entirely sure how it would turn out with less milk but it’s worth a shot. We love the concept and that pungent cheesy aroma is remarkable but there’s still room for improvement. With the wealth of great vegan Mac n Cheese recipes available online, if you have the time it’s still worth making your own Mac n Cheese from scratch. This tiny little packet was just full of surprises. 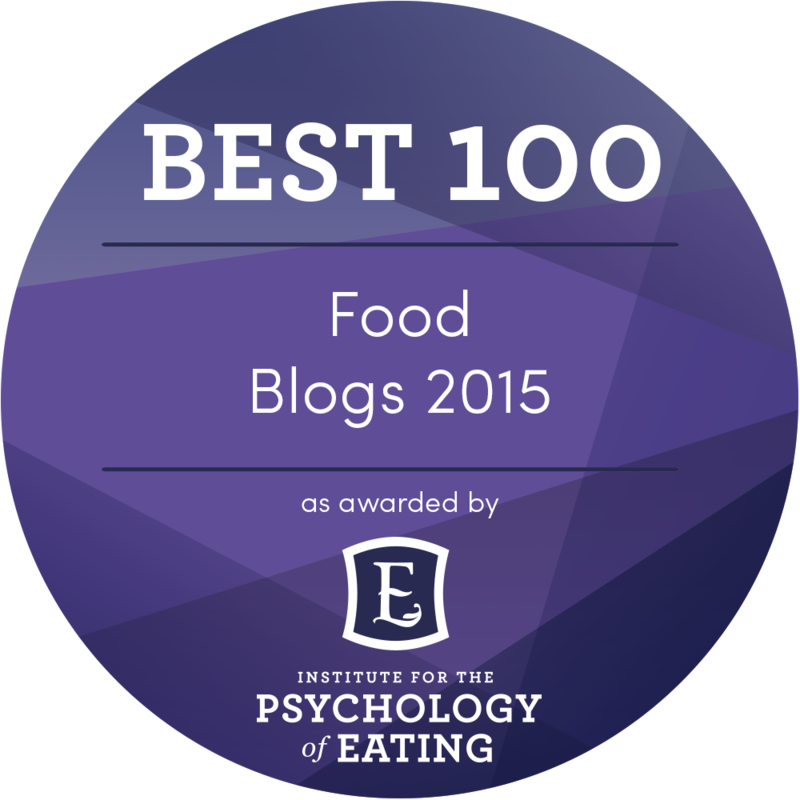 What exactly is instant shiitake? I didn’t know what to expect, so I went online and looked it up to discover it’s essentially like a Chinese-style medicinal herbal drink containing shiitake extract, schisandra, dandelion and rose hip. Preparation was simple, just add hot water and you have a dark brown beverage, similar in color to an English breakfast tea. Since I love Shiitake, the aroma of this hot broth and somewhat floral drink was quite delectable. You can adjust the amount of water to your taste, but I just made a small mug and found the concentrated version rather enjoyable. Along with being vegan it’s also sugar-free, gluten-free, soy-free, Non-GMO and all natural. Available on Amazon.com and FourSigmaFoods.com. One Potato Two Potato Hawaiian BBQ chips certainly deliver those sweet and tangy notes I associate with Hawaiian BBQ. Overall the flavors were sweet, tangy, with a touch of onion and not too smoky – just the type of BBQ chip that hits the spot paired with a sandwich. One Potato Two Potato kettle chips also have a crunchy, without being hard, texture and didn’t leave my hands greasy afterwards. The 2-oz snack bag would be perfect for travel. One Potato Two Potato chips are Non-GMO, gluten-free, MSG Free, all natural (free from preservatives and artificial flavors or ingredients) and kettle cooked in small batches. On top of everything else, the cute packaging is a bonus. I’ll be on the lookout for their Sweet Onion flavor the next time we’re at the store. These powdered drinks are a bit like Emergen-C, with flavors also comparable to Vitamin Water Zero. Just add water and you have surprisingly sweet and vibrantly colored all-natural drinks packed with electrolytes. The colors and aroma are surprising, since they seem artificial but clearly aren’t. Ultima Replenisher beverages are plant-based, Non-GMO, gluten-free and naturally sweetened with stevia and contain zero sugar. They also contain no artificial ingredients, no msg, no soy and no citric acid. Grape is their best seller and our preference of the two flavors. Available on Amazon.com and UltimaReplenisher.com. Immediately picked up notes of dark chocolate and desiccated coconut in this peanut butter. In fact, the flavors mask the peanut butter flavor almost entirely. The texture is gritty and, perhaps due to the heat, it was a bit runny. Not quite as rich and decadent as I expected and not all that sweet. A fine pairing of flavors that is vaguely reminiscent of a Mounds bar, but lacking a bit of that sweetness I had expected. Wild Friends Nut Butter is Non-GMO (Non-GMO Project Verified) and all natural. This 1.15-oz snack size pack would go nicely in a lunchbox or snack box for a flight. 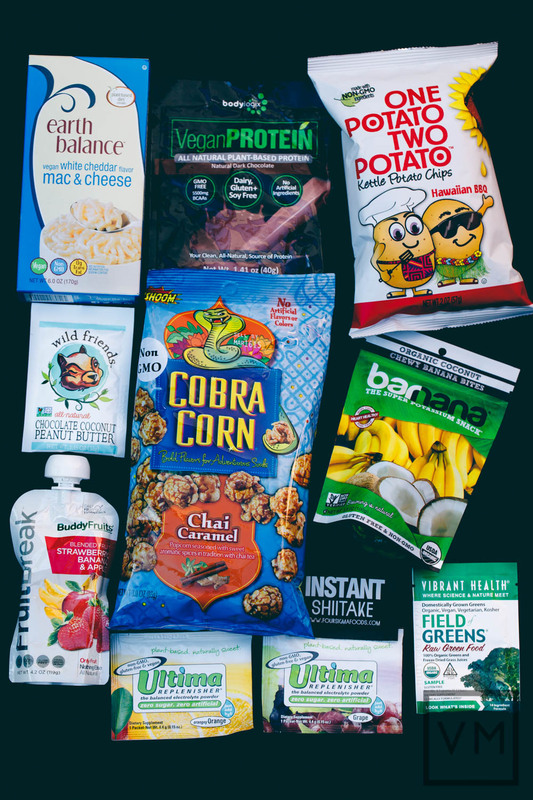 The September 2014 box is one of the best snack boxes we have tried this year since most of the snacks were flavorful, gluten-free (except the Earth Balance Macaroni & Cheese) and delicious. Looks like we have something in common with Chef Wrobel! Overall, this was an interesting box filled with products that were all new to me. It’s always nice when you get to try new things this way and there are a few products I’ll be on the lookout for at my local markets. There were a lot of goodies we really enjoyed this month so it’s tough to pick a favorite, the best of the bunch for us were the Barnana Organic Coconut Banana Chewy Bites, Buddy Fruits Fruit Break Strawberry, Banana & Apple Blended Fruit, Cobra Corn Chai Caramel Popcorn and One Potato Two Potato Hawaiian BBQ Chips. This Snack Box was kindly provided to me by Vegan Cuts for review. In addition to the Snack Box, they also offer a Beauty Box. Next Snack Box ships on October 20th! Get yours here. What are your thoughts about Vegan Cuts’ September Snack Box? Have you tried any of these products before?